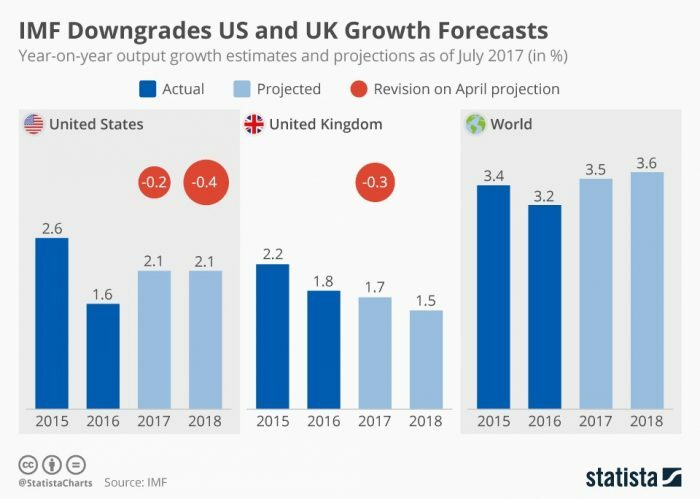 The IMF revised its growth forecast for the US and UK for both 2017 and 2018. 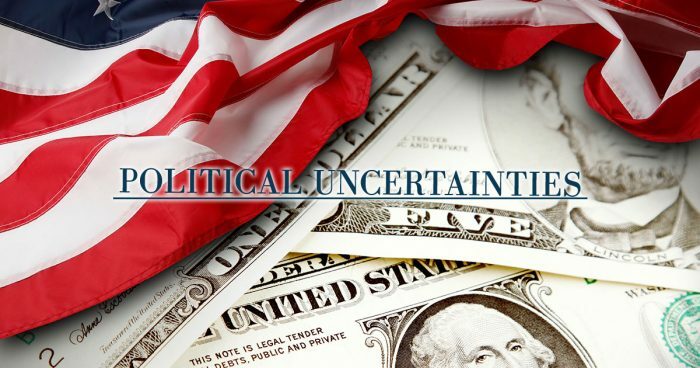 Behind their reasoning there are the political uncertainties and slowing growth the two countries face. European countries are expected to do well in the meanwhile and the global growth is getting a momentum too. The two countries certainly have some problems that they face. The UK has the Brexit talks which don’t go very well and we still don’t know if the United Kingdom faces a hard Brexit or a soft one. All this leads to serious domestic political problems as well. What’s more, banks already started to leave London because of these problems: Bank of America already decided to go to Dublin. The US also has domestic problems. As we wrote about it after Donald Trump’s first 100 days, he simply remained a promise for many. The main problems didn’t get better for him since then. What’s more, now the support for his impeachment is higher than Richard Nixon’s was when he had to resign. Europe on the other hand does well. As IMF wrote “By contrast, growth projections for 2017 have been revised up for many euro area countries, including France, Germany, Italy, and Spain, where growth for the first quarter of 2017 was generally above expectations”. Global growth also may have a good time, but some risks remain in the medium-term. Some global changes are expected, though. As we wrote last week monetary policies of central banks are changing. A growing number of countries may have rate hikes in the future while several central banks are planning to slow down their QE programs. This may influence economies in general, but may be a slower process in Europe, where economic activity just revved up. All this leads us to believe that long-term investments are still the best to have now.